Pre-order from Ninestar Press with the code PREORDER for 20% discount here. Ben Griers is the darling of Corinth Georgia’s Police Department—intelligent, handsome, and hardworking. Thanks to his beautiful wife and clever daughter, Ben’s family is the envy of the town. Yet desperate unhappiness is hiding just below the surface. When Donnie Saunders, a deadbeat redneck with a temper, is brought to the Corinth PD as a suspect in a hit-and-run, Ben finds himself surprisingly intrigued by the man. He quickly establishes Donnie’s innocence but can’t shake the feeling that Donnie is hiding something. 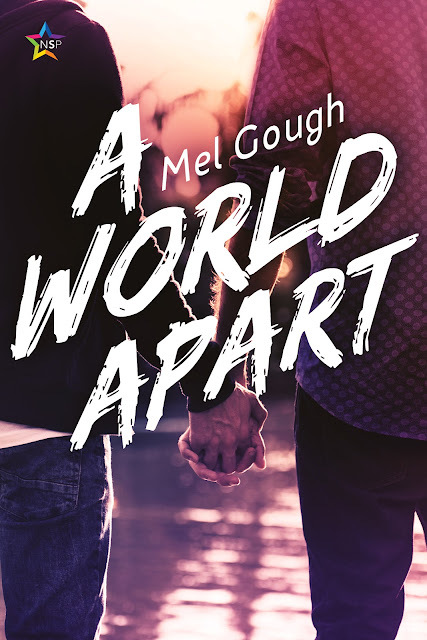 When they unexpectedly encounter each other again at an AA meeting in Atlanta, sparks begin to fly. With his marriage on the verge of collapse, Ben is grateful for the other man’s affection. But he is soon struggling to help an increasingly vulnerable Donnie, while at the same time having to deal with the upheaval in his own life. Ben eventually realizes that they cannot achieve happiness together unless they confront their darkest secrets. In her day job, Mel works for an NGO as operations manager. No other city is quite like London, and Mel loves her city. The hustle and bustle still amaze and thrill her even after all these years. When not reading, writing or going to the theater, Mel spends her time with her long-time boyfriend, discussing science or poking fun at each other.